My first visit to Paris was a remarkable experience, which I will never forget. I booked the Dover-Calais ferry and drove with my wife from London in the cold Christmas weather. We intended to stay until the New Year in a hotel located in a suburb of Paris and visit the city every day. It was a great feeling to arrive in Paris and see the city of light ­– a modern city with a very deep sense of history. I will never forget when I first drove through, passing the canals and seeing the monuments. It was like a huge open-air museum. It was love at first sight. It was dark in the evening, Christmas lights illuminating the whole city. It was bright, almost like daytime. The streets were very busy, full of shoppers marching from one shop to another. I was fascinated seeing The Palais Garnier, which is the Paris Opera House. I parked my car in a small one way street nearby. When we reached the main road, there was an underground station with a big, lit-up sign displaying the word ‘Métropolitain’. I did not make note of the road name, as I thought that the name of the station would be sufficient for finding my car again. We visited the Opera house and walked towards Place de la Concorde. We then walked back to find our car. I located what looked like exactly the same ‘Métropolitain’ sign that I had noted in my head, but it was not the right street. 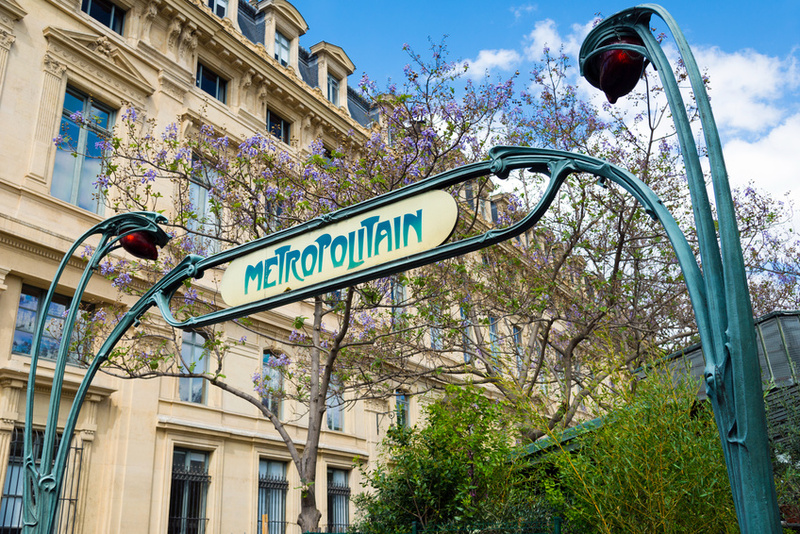 I finally realised my mistake and understood that the ‘Métropolitain’ sign was the symbol for all metro stations in Paris, not the name of one station! This was just the beginning of our nightmare. How were we going to find the car? It took us nearly over two hours walking through many streets that all looked the same. I wondered whether to call the police. It was a miracle that I finally managed to find my car. We were staying in Épinay-sur-Seine in the north of Paris, 11.3 km from the city centre. The next morning, we walked around the small town. It was Christmas and all the shops were closed. We were happy with our hotel, but we decided to check the prices of other local hotels. I saw a very nice building marked ‘Hotel de Ville’. I approached the building, but the door was closed. After a few minutes a man opened a window. I asked him, “how much is it per night?”. He replied, ”Qu’est-ce que vous voulez?” I repeated my question. He simply said, ”Il est fermé”. I could not understand him. I asked him again, “I just want to know the prices”. He shouted, ”Il est Noël. Le bureau est fermé” and closed the window. We wondered what kind of hotel this was and left. When we were in the centre of Paris, I saw another Hotel de Ville. It was a magnificent large building that looked like a palace. I suggested to my wife that it was possibly a five-star branch of the same hotel. It was only when I visited the tourist office to get directions to various sightseeing places that I found out the Hotel de Ville is actually the city’s municipal office! We stayed in Paris for ten days and had a fantastic time. I loved everything about this romantic city and vowed to never hesitate to come back to experience it again and again. But I promised myself that I would learn the language! Lovely article, I enjoyed reading it and has encouraged me to visit Paris again sometime soon, especially as we now live in France. I do think that there is something special about visiting cities at night; quite a different experience from the daytime. Thank you. Enjoyed reading about your first trip to Paris ! Mine was at the age of 18 when I came to visit a friend on holiday there ….I caught the Tourist night flight from Heathrow at the princely sum of 12 pounds ….arrived at Les Invalides (although I didn’t know it – I saw the sign on the bus outside and thought how wonderful to have a bus service for invalids …..) so, at mid night, I walked (never having been to Paris before) to the nearest Metro and took a tube, in those days (circa 1966) the metros were dark and dingy places, green tiled walls running with water)…..to my stop, Vavin ……..and got into a taxi for the ‘Hotel Luttece’….the driver simply said NON – so I crossed the road to an ‘American Bar’ and asked again .no luck ………saw a Gendarme (in his cape in those days – like the gendarme in Allo Allo) …he didn’t know either, then I saw a smartly dressed lady (didn’t know she was a ‘working girl’) but she knew where the hotel was, and took me to it (doesn’t say much about the type of hotel !). My friend had gone to bed, but had left me a jambon baguette in a pigeon hole, and the concierge had left me a key to a room………very old fashioned, with a high cistern chain operated loo, a lift that was only a cage and breakfast next morning round a very large oblong table with coffee bowls and a lot of odd guests ! I still love Paris to this day – and go every Christmas to see the illuminations ! These days I live in France, and have done for some time – and tend to stay in a slightly better establishment, or find someone’s spare room through AirBnB …….happy dayz !